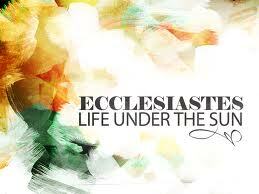 Ecclesiastes Series Launch & Baptisms! Join Us Sunday at DSChurch! by doublespringschurch.In Grow.Leave a Comment on Ecclesiastes Series Launch & Baptisms! Join Us Sunday at DSChurch! We’d love for you and your entire family to join us this Sunday morning at DSChurch! We’re launching into a brand new teaching series in the book of Ecclesiastes and will be baptizing two more new believers! As always, we encourage you to make that call or visit and invite someone to join you! We PROMISE that a the Gospel of our Lord Jesus will be clearly presented and everyone will be given opportunity to respond by faith. Will you join us in prayer for Sundays Corporate worship services? Next Next post: Join Us Wednesday @ DSChurch!